Is the best Windows laptop really a MacBook? Anyone who owns a MacBook Pro knows that it's a fairly reliable machine for running Apple's Mac OS X operating system, but new research shows that it's also apparently a great choice for Windows 8 users. PC troubleshooting site Soluto published a list today of the most reliable Windows laptops, and ironically enough a non-Windows laptop, the mid-2012 13-inch MacBook Pro, made it to the very top. Soluto collected data from 150,000 laptops beginning on January 1 of this year and analyzed each device looking for crashes, blue screens and other telltale issues. The results showed that a MacBook Pro with Windows installed is the most reliable choice when it comes to avoiding those problems. Soluto published its list of the most reliable Windows laptops in its April 2013 PC purchasing guide, according to PC World. The PC service firm even offered up a possible explanation as to why the MacBook Pro is so reliable when running Windows: users who install Windows on an Apple computer are getting a vanilla version of the operating system that isn't bogged down by manufacturers' own proprietary software and applications. That just goes to show that all those shiny extras that OEMs throw in on factory-new computers really can harm a device's efficiency. Of course, there's work to be done to install Windows on MacBook, including buying Windows, setting up Boot Camp, then installing Windows, but if you're looking for the OS on an Apple product, we think Soluto would give the thumbs up. The second-most reliable Windows laptop proved to be the Acer Aspire E1-571, which costs a third the price of the MacBook Pro. After that came the Dell XPS 13, though Soluto did mention that almost a third of XPS 13 users wiped their hard drives and started from scratch with a clean version of Windows, which may help explain its high ranking. Soluto reportedly took multiple objective factors into account when determining the most reliable Windows laptops, including the number of running processes on each machine and the number of crashes each week. 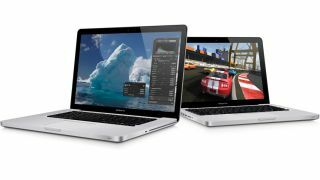 TechRadar asked Apple to comment on the MacBook Pro's efficiency at running Windows 8, but the company has yet to share anything with us.